This is not the time to give up hope of revival. Look at many youths’ skepticism of supernatural and religion used to keep us down to accept subjugation, there are some reasons for optimism. Africans have long been victims, though waking up. Arabs lost it all. If you look at Anglo-Saxons and Arabs: greed, plutocracy, racism and religion divided them into selfish tribes in possession of weapon of mass destruction and lethal arms to negotiate and retain power in disguise. As Britain and America break out of free, equal and FAIR trade, Africa has opportunity to move up as expected since Independence. If Africans work at home as hard as they do outside, they would be richer and Africa could have moved from potential rich resources to exploration, exploitation and control of those resources to make themselves richer. Brexit signs spreading to U.S is capitulation. Africa must follow China in filling the void, it must not get worse for us. Brexit and America-first have to ask themselves if they can prosper without their leading multi-international corporations making profits from foreign countries. What most of their citizens do not understand, asking Bill Gates is: why more of his charities are in foreign countries? If British and American Churches, charities and non-governmental institutions do not show angelic faces outside, hostilities and resistance would make their foreign profits too odious and repulsive. The countries making and selling arms or bombs to poor countries, send Red Cross or charities. Longing for the days to bring back white superiority and privilege for a tribe is like Britain trying to retain its original black skin again . Inward looking and self-defeating uneducated minority of voters’ economic interest have been used to bully the majority in a country where most of its inventions, trade and services are propelled by immigrants, sons and daughters of immigrants. Indira Gandhi repeatedly told western countries that she did not care about foreign aid as she did more about equal access to free and fair trade of the rich countries’ club. When expensive western goods and services were sold to third world and emerging markets, their workers were making jumbo wages while emerging markets paid workers starving wages to buy overrated and expensive finished products made from the same raw material Africans arduously supply. However, as corporations introduce automation, computers and contracted low skilled jobs easily performed by anyone, anywhere in the emerging markets; it gave rise to revolt by angry autoworkers, coal miners etc. that lost their jobs. Higher education and highly skill services are no longer in the exclusive domain of highly developed countries. China, India, Pakistan, Nigeria, Ghana and South Africa now have highly educated and skilled folks in and out of their country. No matter where you are, even in the most developed country, if you do not have the skill, you cannot retain good paying jobs. Your nationality does not determine your remuneration. Those politicians promising you the good old days when high school or less could get you well-paying jobs are only after your votes because they know you are not well informed enough to realize your skills belonged to the past centuries. So, they claimed they love the “uneducated”! Since more Africans started using their skills to shape their future instead of selling out to their colonial masters’ economic whims and caprices, the trade game is changing. There is no way to disguise racism of trying to make Anglo-Saxon dominant again backed by nuclear force; as Asia, Middle East and others have developed their own nuclear capabilities. South Africa gave up its own to weaken hands of those dreaded in negotiating trade. Libya gave it up and got whapped. Rejection and sub-human treatment Africans encounter abroad is an eye-opener for those that have lied to us that European and American streets are paved with gold, flowing with milk and honey. While it has not deter some of taking the risk, no matter what, reasonable African youth have hesitated and given traveling out without documentation, second thoughts. Many more than those venturing out prefer their own countries. No need to die trying to live a poorer life. The paradox is while many parts of Africa have not move educationally, there are more school graduates now than ever. However, they have not turned what they learnt into practice out of laboratories into field studies. While many have come out with discoveries, refused to publish them for the rest of the world to verify. Believe it or not, these discoveries are kept within the families like the olden days. 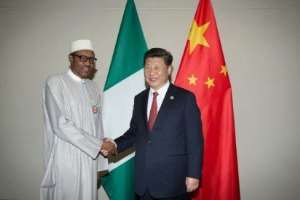 Our socioeconomic studies must emulate China to propel us into world stage. The dictates of Bond and Wall streets still dominate our financial services. Poor Arabs. They are so divided, foreign arms control their land right now: Turkey, Iran, Israel, Russia and United States. These are the proxy wars going on within Syria worse than Congo or Sierra Leone . Saudi Arabia would rather burn the whole area than find solution within. They are so divided not only within a single religion as Muslims but by sectarian conflicts and supremacy. Indeed, some of their leaders are wondering why they are not as united as the Africans! What, Africans united? Recently, the new power-house, Arabia in waiting has shaken up the elites by detaining them and forcing those suspected to have accumulated money illegally or dealing in money laundering to negotiate their release. “Civilized” Nigerians wondering why they are not employing our tactics. Nigerians use the rule of law and due process to embezzle money, na! Brexit by Britain may be an expression of self-determination by the Anglo-Saxon tribe opposed by other part of United Kingdom. In actual fact, it is nothing short of abdication of responsibility based on their fear of foreigners. This is a fear spreading not only in Europe but had been in place in Japan and China. They all want to keep migrants out of their countries especially Arab religious fanatics and Africans. Yet, their population is growing old begging for young migrants. Racism – xenophobia has spread not only in Europe, but in South Africa against fellow Africans. The case of Europe as any other is self-defeating. The more they limit trading with outsiders, the more they lose because they have never negotiated any trade agreement with Africans and Arabs without getting the upper hand. They dictate world financial rules at a disadvantage and at the expense of Africa and Arab countries. If Africans cry with eyes open, what about Arab? The most powerful trading block they ever formed, is the European Union. Breaking that Union works to the disadvantage of Britain as all economic indicators demonstrated. But their fear of foreigners, even fellow Europeans has forced them into a cocoon where they cannot flourish. In the process, they can no longer dictate the pace and game of world trade.